Alpha is the snuggliest cat�%A0you could ever meet. She loves to be in touch with her human and her favorite thing is playing with her sister Omega. 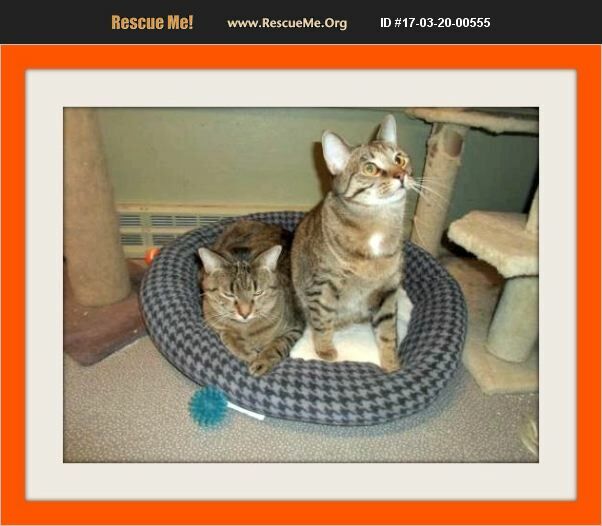 These sisters are a bonded pair and we would naturally want them to go to their forever home together. They are well-behaved and lovely little girls who would brighten any home. Born approximately 3/15/2015, these girls are precious and really need each other.�%A0They have lots of love to give yet. They are both spayed, up to date on vaccines and are both microchipped. If you have a place in your heart for sisters who need to stay together please go to our website littleorphansanimalrescue.org and fill out an adoption application. You would be glad you did!